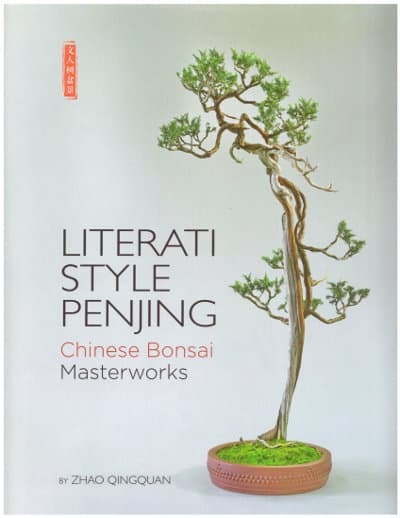 “The term “literati style penjing” refers to the elite scholar-bureaucrats of imperial China. The literati class was well educated and versed in art, leaving a profound mark on many art forms, including painting, poetry and gardening. Their preference for stark, expressive and graceful forms led to the development of literati style penjing, which feature lean, long trunks along with sparse foliage. Other vital influences were the Chinese philosophical traditions of Confucianism, Taoism and Chan (Zen Buddhism). Concepts such as serenity, the mystic void and minimalism, which are important to these traditions, also find their expression in works of literati penjing. –Excerpts from the inside cover. The society maintains an extensive library of books for the use of its’ members. These books are available for check-out during the monthly general membership meetings with a few exceptions. Some of the books are no longer in print and therefore the society is not able to replace them; these books are available for viewing during the meetings. In addition to books, the library contains instructive DVDs and magazines. Be sure to check them out and take advantage of this membership benefit. You must be a society member in good standing. The librarian will take a security deposit (credit card number) for the value of the materials being checked out. The materials you choose will be listed on a form maintained by the librarian. The deposit will be held until the next general meeting. If you are unable to return the materials by the next meeting you will be contacted and arrangements will be made for their return. If they are not returned, the security deposit will be processed so that replacement materials can be purchased. Donations to the library are always deeply appreciated!